Hi! I'm feeling kind of overwhelmed by how many people have entered my giveaway...I feel bad there's only one prize! There were more entries for this one in 1 day than in the whole 7 days last time. Lawd. Make sure you enter though if you haven't already! Today I've got some more stamping from the 2012 Bundle Monster plates. 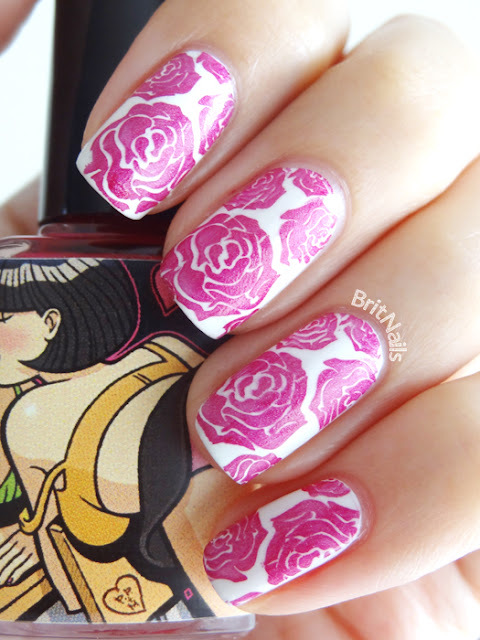 I used Essie Blanc as a base, and for stamping I used ManGlaze Lesbihonest (one of my favourite polishes ever!) 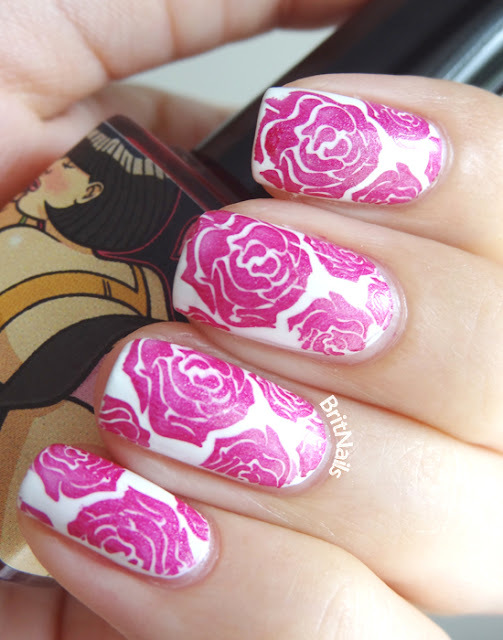 and a rose design from BM-323. 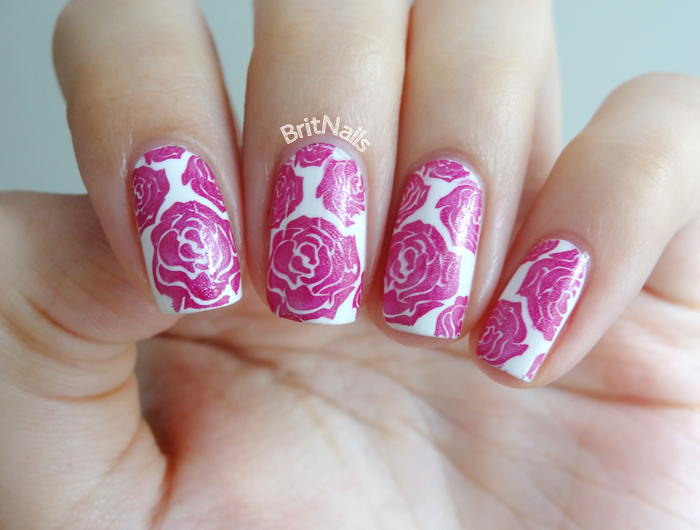 I love the rose design! And ManGlaze is so good for stamping. Do you have any favourite designs from the new BM plates? That is so pretty and neat! I love it. 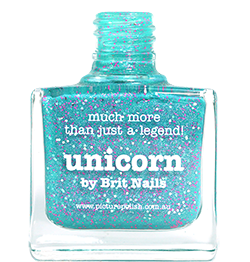 Never heard of that polish though! this is soo prettyyyy. perfect stamp! I can never thank you enough for getting manglaze to me!! Swap soon? I cannot wait to stamp with this plate, they look lovely! This is jaw-droppingly awesome. 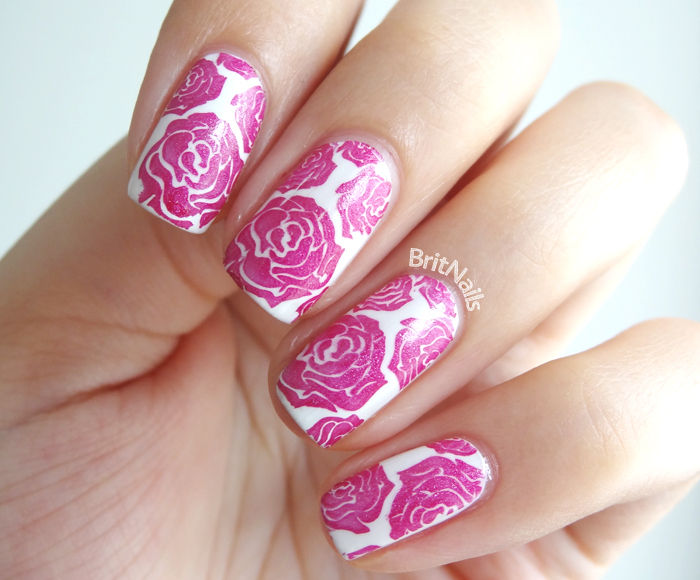 The pink manglaze roses on the white background is perfection. I always love your manis! !